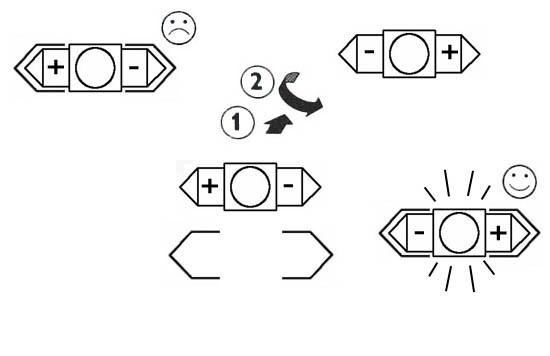 A: Since most LED bulbs are polar sensitive, you can always try to flip this LED bulb 180 degrees and try again. ALWAYS remember to turn off the car and turn off the light first before doing this. 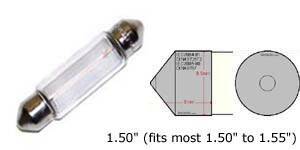 For more details about the troubleshoots, please visit our LED Bulbs 101. 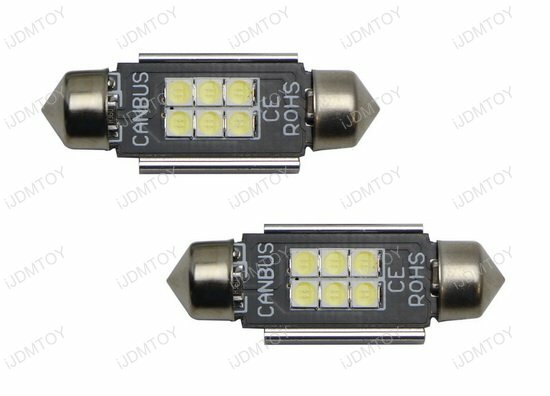 Q: What's CAN-bus Error Free LED bulbs? 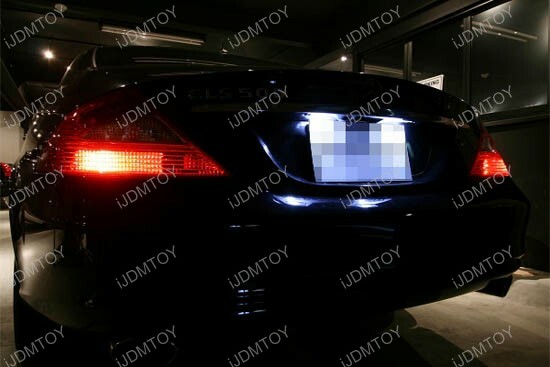 Q: Are CAN-bus Error Free LED bulbs guaranteed to work for any European cars? 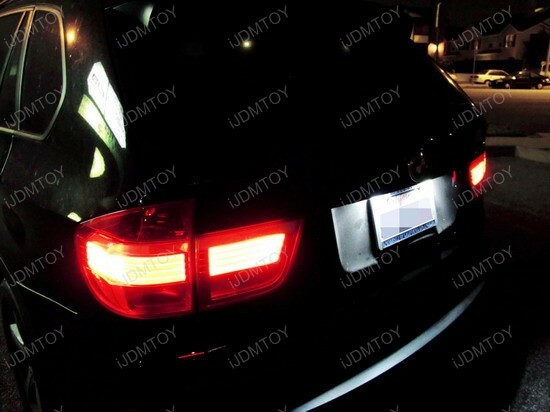 A: No, The CAN-bus Error Free LED bulbs are not guaranteed to work for all European vehicles. You can think this like Tylenol. It works for most people to cure their headache, but might not work for everybody. Even for the this same person, it might not work every time. 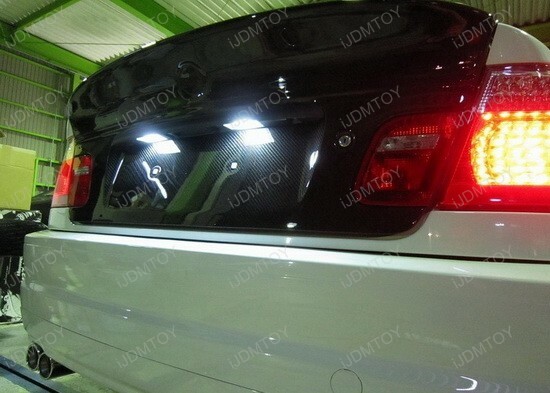 Please always contact us or check the known compatible vehicle list to ensure the fitment before buying. The known compatible vehicle list is created based on our long testing to ensure their correct fitment and no-error functioning. You can also take a look at this YouTube video showing you how to properly install the CAN-bus Error Free LED bulbs. 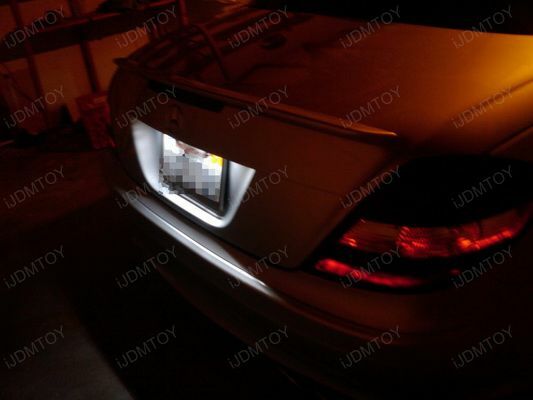 Q: How come the LED bulb flickers/strobes couple times when I just start the engine? A: This symptom is completely normal when installing any LED bulb for an European cars such as Audi, BMW, Mercedes-Benz, Porsche, Volkswagen, etc. 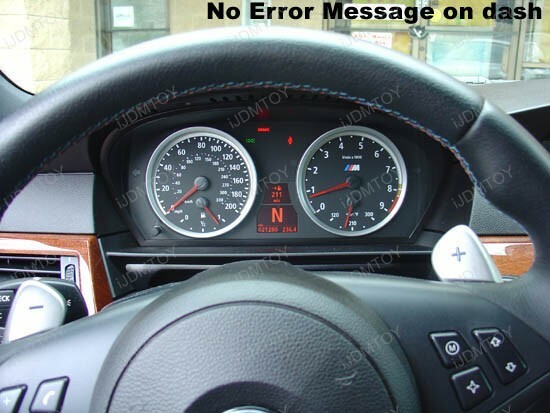 This temporary flickering is caused by European cars' on board computer sending a routine check electrical impulse when you first start the engine to all the bulbs and lamps to make sure they are not burnt out. Since LED bulbs are super sensitive to power, it will cause the LED bulb to respond and light up. 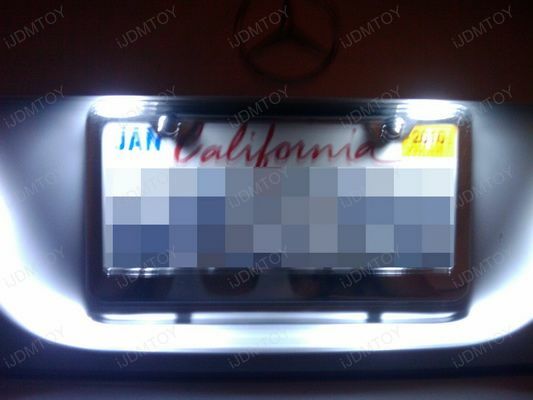 Such as Audi, BMW, Mercedes, Porsche or Volkswagen for license plate lights. 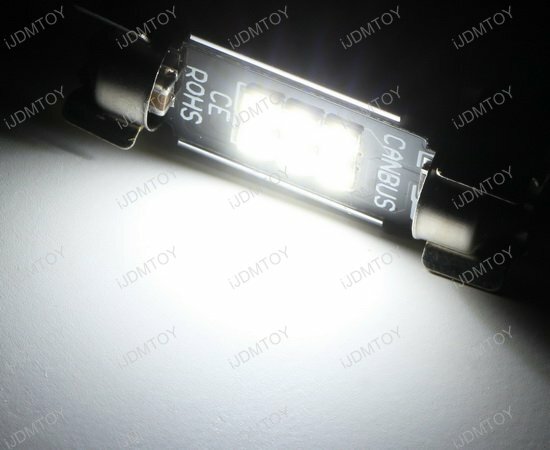 These High Power On Board Computer (OBC) Error Free LED bulbs will replace the stock 6411, 6418, C5W bulbs. 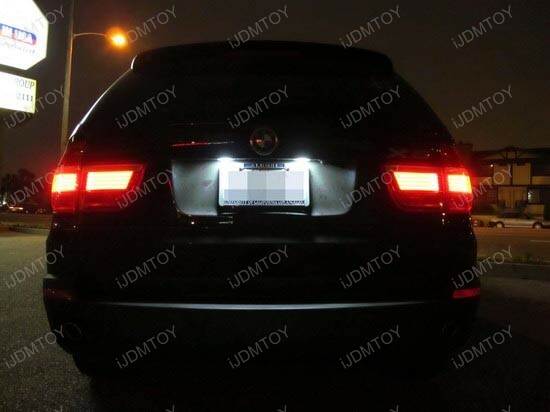 Each Error Free LED bulb equips with 6 pieces super bright 2835 SMD LED lights, with built-in CAN-bus load resistors, so they will work properly for most European cars for license plate lights. 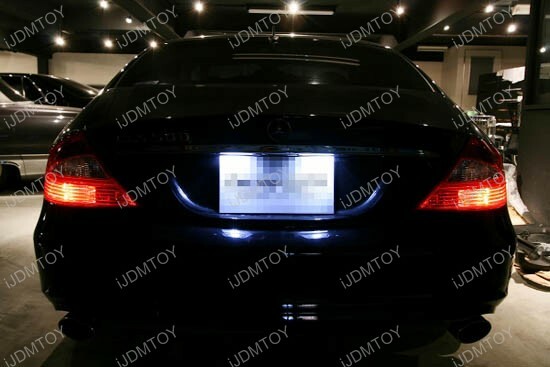 1) Please don't purchase these LED bulbs for 2007+ Mercedes ML class and all Mercedes GL-Class for license plate lights since they do not work. 2) Some cars are not listed above only because we have not tested them here. However, in most circumstances, these CAN-bus LED bulbs should still work. 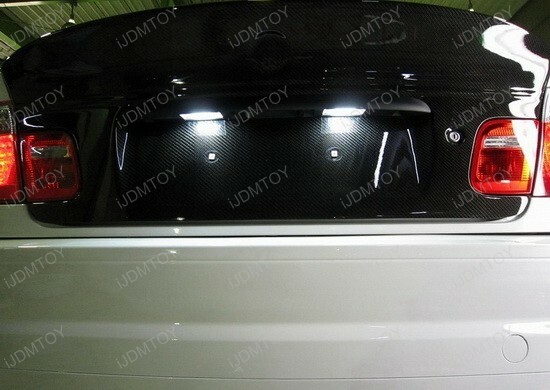 This product has definitely changed the look of my E92 3 Series. Everyone has been asking me to link them up with this product and the super bright LED backup bulbs.